"Why Does the Church Encourage Fasting, Almsgiving, and Prayer?" These three desires drive the world; however, they are not in themselves inherently evil. It is only when we put these desires before God that they become disordered, when we choose the least good over the greatest Good—which is God. It is the fact that we want these things on our own terms without God which gives them their lustful nature. So what is a good Catholic to do? Well, onto the scene steps Jesus, the “New Adam” who reverses Adam and Eve’s sin in the garden and shows us how to conquer sin at its root. One of the first things Jesus does is head out to the desert (Lk 4:1-13). 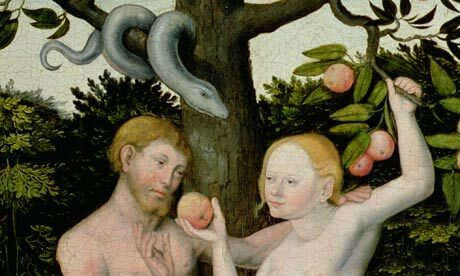 In this context, the desert symbolizes what became of Paradise; that is, Adam turned it into a barren desert by allowing sin to enter the world. Satan proceeds to try and tempt Christ with the threefold lusts: Food (flesh), Kingdom (possessions), and Manifestation of Power (pride). Jesus uses Scripture (specifically the book of Deuteronomy) to combat Satan, and that is what each of us should do. We should always turn to the Word of God to combat the Evil One. However, Jesus unites Scripture with fasting, almsgiving, and prayer to conquer Satan. Fasting helps us overcome the lust of the flesh and strengthens our wills so that we realize that we cannot live by bread alone. Almsgiving helps us overcome the lust of the eyes and allows us to detach ourselves from the things of the world and to realize that we are to worship God alone. Finally, Prayer humbles us and takes pride out at its root. It helps us realize that without God we are powerless. Christ gives us all we need to conquer the Evil One and reverse the fall of Adam and Eve. This Lent let us use these weapons that Our Lord has given us in order to become more like Him.